In case you have not noticed, the venerable, Communications of the ACM (Association for Computing Machinery), has been undergoing modernization in the last few years. It has a wonderful web page now, a totally new layout, and many new columns (included a business/economics viewpoint edited by yours truly). First of all, this is great. Check it out! But there is more. In another new step, CACM plans to go mobile! Coming soon to a hand-held device near you! Of course, this is easier to say than do. It cannot happen overnight. CACM needs beta testers for mobiles versions of the CACM websites. The first version applies to all hand-held devices. The second version will apply to iPad/iPhone apps. That is where you can help. CACM needs beta testers. 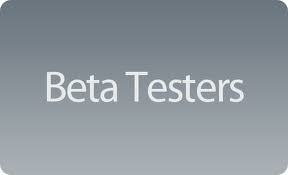 If you are willing to be a beta tester, please let David Roman know. His email is [roman@hq.acm.org].